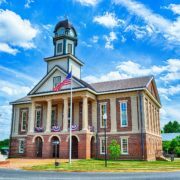 Pittsboro, NC – It’s always great to read about Pittsboro’s unique people in the national media. On Wednesday, The New York Times featured an in-depth story about Creighton Lee Calhoun Jr., an apple farmer in Pittsboro. Mr. Calhoun, now 82 years young, is no ordinary apple farmer. He’s a retired Army lieutenant colonel and an expert on heirloom apples. “Old Southern Apples” is Mr. Calhoun’s encyclopedic book covering 1800 varieties of apples. His orchard contains about 300 trees. 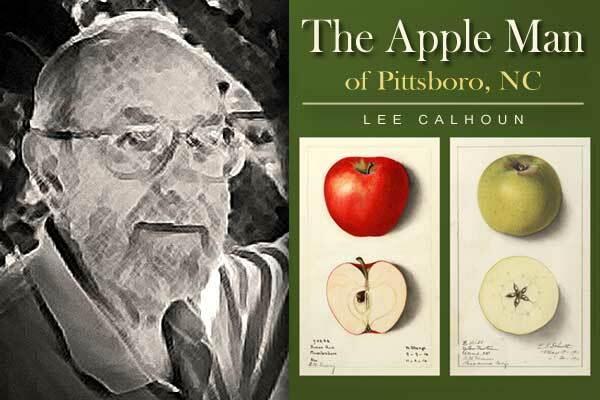 Mr. Calhoun, who goes by Lee, has shared his collection of old-time apple trees with younger farmers in the area. He grows forgotten varieties including Early Strawberry (makes good apple sauce), Arkansas Black, Red Twig and Carter’s Blue. Another type, the Cullasaga, was grown by the Cherokee people of North Carolina. Lee Calhoun grows most varieties by grafting. That is, he takes a twig from the old tree and grows it on the trunk of something else. Nowadays, Calhoun mostly grafts to dwarf tree stock, keeping the apple trees at a manageable height. He’s a careful pruner and uses wires to shape the trees for optimum production. I was at your book signing last year and I enjoyed it! i make hard cider and needed a bushel or two of a diferent veriety. Do you sell your apples or do you have leftovers??? 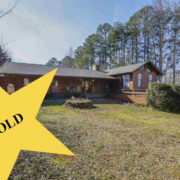 I own a small sustainable farm near Montgomery, AL,and want to establish Carter’s Blue in the orchard. Am having difficulty finding a source for that variety. Do you know where I can buy them? I’m going to have to rely on a friend for the answer and will get back to you.